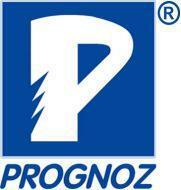 Company: Prognoz Technologies Pvt. Ltd.
Internet protocols: HTTP, HTTPS, SMTP, LDAP etc. and standards: SOAP, REST, XML, JSON etc. Development tools: SVN, Git, Net beans, etc. Web integration. Linux: file system, users and access right, Apache configuration, MySQL configuration, performance tuning, security. Note: Candidate should have a working knowledge of Dot Net MVC: At least 2 or 3 projects executed successfully in MVC.